New Directions Publishing Corporation, 9780811213646, 154pp. Victor Pelevin's novel Omon Ra has been widely praised for its poetry and its wickedness, a novel in line with the great works of Gogol and Bulgakov: "full of the ridiculous and the sublime," says The Observer London]. 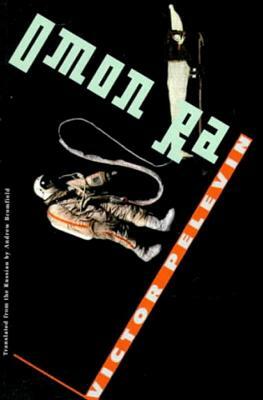 Omon is chosen to be trained in the Soviet space program the fulfillment of his lifelong dream. However, he enrolls only to encounter the terrifying absurdity of Soviet protocol and its backward technology: a bicycle-powered moonwalker; the outrageous Colonel Urgachin ("a kind of Sovier Dr. Strangelove" The New York Times); and a one-way assignment to the moon. The New Yorker proclaimed: "Omon's adventure is like a rocket firing off its various stages each incident is more jolting and propulsively absurd than the one before.